It was the opener for NDAC’s season of track events at the Bangor Sportsplex and we got some great results from the juniors. The Slieve Gullion Fell Race is one of the oldest races in NI. 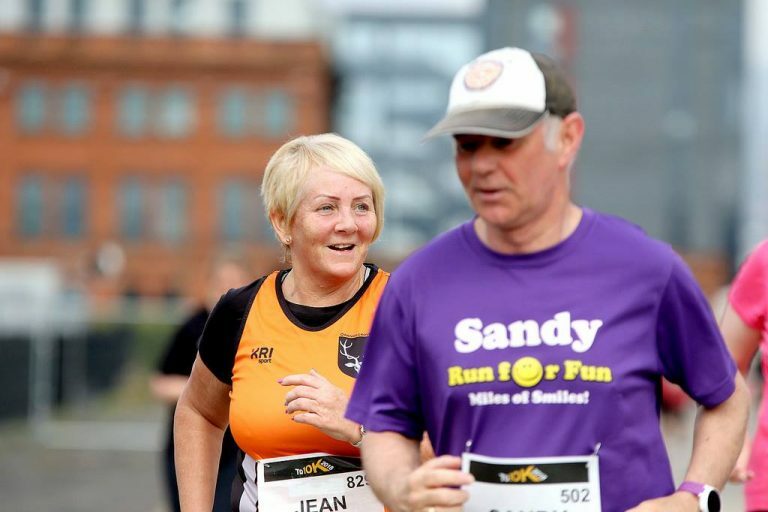 Organised by Armagh AC it has been running for 45 years. 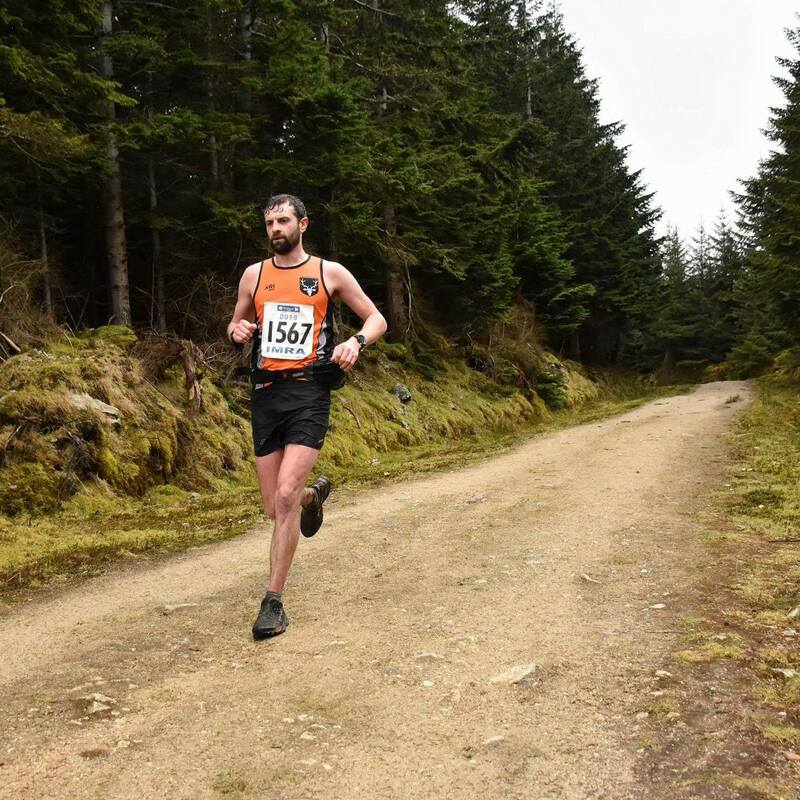 Mountain races don’t get rescheduled very often, but due to the harsh winter that meant many of the roads around Slieve Gullion were inaccessible, this event was moved from its usual date in early March. This weekend also had other mountain events such as the Maurice Mullins Wicklow Way Race and Cooley Legends, so there was a diminished turnout of 42 runners. This race had a very different route from the popular Slieve Gullion 10k trail race which goes from the country park up through the forest to the mountain peak. It approaches from minor country roads to the north and is very nearly all on grass/muck. Conditions at the top of Slieve Gullion and its surrounding peaks are rarely completely dry, but we were treated to fairly mucky conditions and some deceptively deep bogs to negotiate. In addition there was very little visibility on the open mountain due to the mist which caused some navigation challenges in finding the checkpoints at the cairns and in finding the best route back to the finish. Michael O’Donoghue and Verity Cornford were up for the challenge and recorded the times of 57.21 and 60.45 respectively. Verity won 1st prize in the V40 category. We then navigated our way to a local community hall for tea and sandwiches. A rather scenic race set in the Northern part of the Wicklow Mountains, it starts in Ballinastoe Wood going past Lough Tay, otherwise known as the Guinness Lake. Apparently owned by the Guinness family but also resembles a pint of Guinness. It then heads up the mountain of Djouce using a helpful boardwalk before passing the Powerscourt Estate with its picturesque Waterfall. It then heads over another hill called Prince Williams Seat and finishing in the village of Glencullen. It features around 5500 feet of climbing, so challenging enough for a trail race. The trail race is around 16 miles with double that for the Ultra option. The trail race was hotly contested this year as it was a selection race for the World Mountain Running Championships. Eoin Lennon won 1st place with a time of 1.45.00. Figure of eight course that goes around the town. Its not part of the Pure Running Half Marathon Series, but its still attracts large numbers with a striking 1800 entries on the day. Stephen Scullion was first with a time 1.07.01. Ann-Marie McGlynn was first lady with a time of 1.14.28. Being almost entirely flat, the Netherlands is a great place for fast marathons, and it’s been a popular location for OAC marathon runners in the past. Chris Woods made the journey to Rotterdam, the Netherlands second city after a season of hard training. Conditions were bright and sunny with no wind. Our very own Chris Woods did well with a time of 3.50. Few marathons would have as many world famous buildings as part of the course as the Schneider Electric Marathon De Paris. It follows the course of The Seine and passes the Eiffel Tower, The Louvre and The Trocadero. One of the biggest marathons in the world that isn’t a world major, this year it had 45000 entries. Michael Broadhead is an experienced veteran of the Paris Marathon, and was rewarded with a great time of 3.15.47. Organised by Athletics NI and part of the Novosco Grand Prix, the TQ10k is always one of the most popular 10k’s in the province, this year it had over 930 entries. Following the usual route of starting next to the Titanic building and heading up the Airport Road and back, we were treated to good conditions this year with no wind or rain on the exposed course. This year it was part of the club championship so got a good turnout from the club. There were many personal bests. 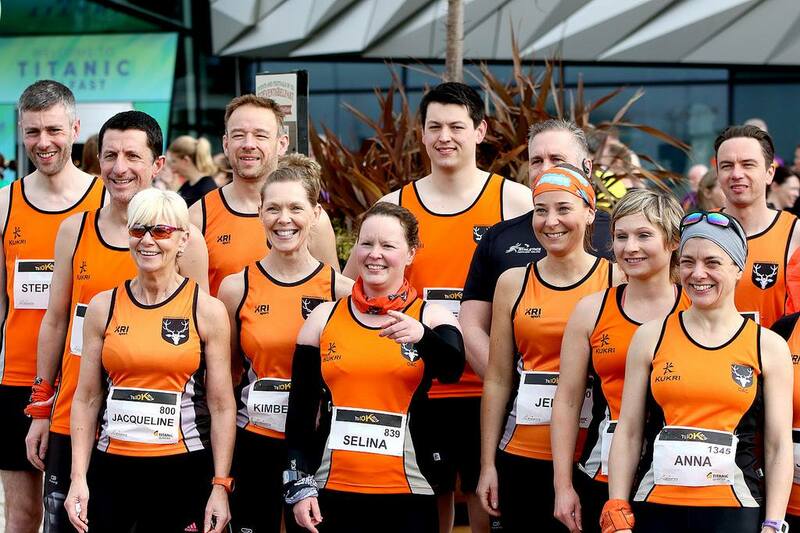 At the front of the field Stephen Scullion made it 2 victories in 2 days after winning the Omagh Half Marathon with a time of 30:29 and Laura Graham won for the 3rd year in a row with a time of 35.27.